Our Intensive Care Unit is staffed by Registered Nurses specially trained in Basic Cardiac Life Support, Advanced Cardiac Life Support, Pediatric Life Support, and includes RNs nationally certified in Critical Care Nursing. 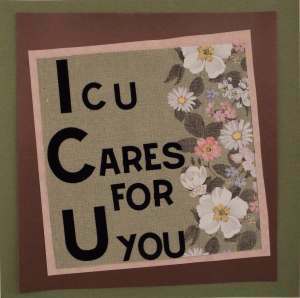 The ICU specializes in giving total, holistic care to patients with the most severe and life-threatening illnesses and injuries. The Intensive Care patient requires constant and complex assessment, intense therapies and interventions such as continuous cardiac monitoring. Many of our patients require the support of life-sustaining medications and equipment including a mechanical ventilator for breathing. The ICU team includes Registered Respiratory Therapists as their training and skills are vital to many critical care patients. Though our ICU is primarily for adult patient care, all RNs are certified in Pediatric Life Support to care for a critically ill child until he or she is transferred to our partner hospital, DeVos Children's Hospital in Grand Rapids. In addition, our ICU RNs, and our certified telemetry technicians, monitor up to 24 patients on the Medical-Surgical Unit who require it for heart related conditions. Our ICU team advocates for their patients, supporting their values, rights and beliefs. As a community hospital, our RNs and telemetry technicians truly understand the critically ill patient family’s needs and concerns. We are your friends and neighbors - and we care.